As mentioned on other pages I don’t do a lot of pencil work – it requires patience and meticulousness that I don’t possess. I also find that to pencil in a scene before adding colour and line, I get too bogged down with the penciling. I find it makes me over think things too much. However, it’s always good to get back to basics doesn’t matter how far you travel. The simplicity of a pencil drawing can really fine tunes your skills, and is some ways expose any flaws you might have. Which is good because there’s always room for improvement and I live for challenges, especially with my artwork. ‘m not fussy about what kind of graphite pencils I use as long as its 3B or 4B. I will pass on a tip from my old drawing teacher and that is to always draw with a sharp pencil. 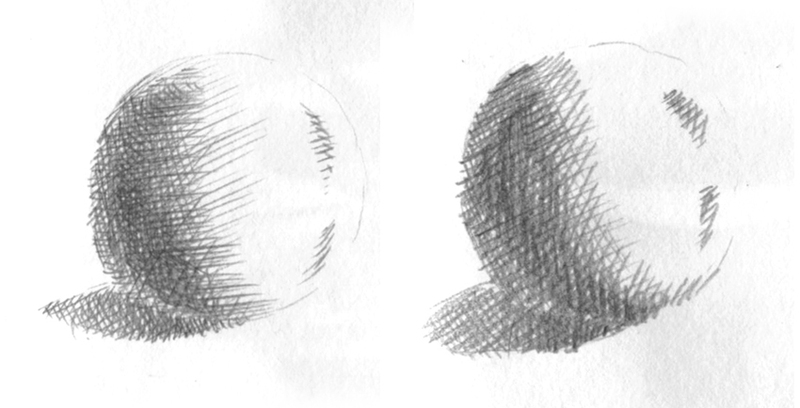 Even if you are shading a larger area or doing layers of cross hatching, always keep you pencil sharp. He also said to keep your pencil at 90˚ angle while drawing, but it’s a bit unnatural and too regimental for me. However, I do recommend the sharp pencil. Crosshatching: The left image I have constantly sharpened pencil, and the right image I only sharpened pencil at the beginning of the drawing. 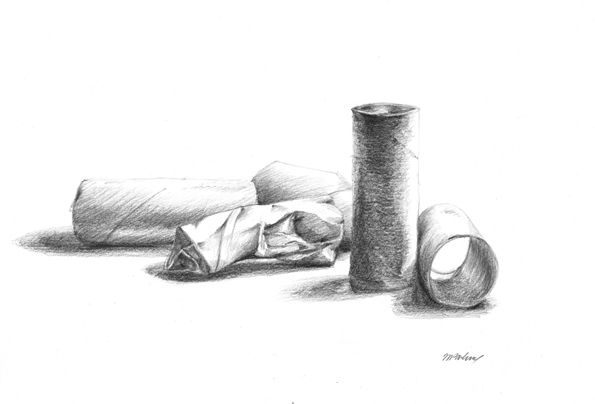 To see more of graphite pencil work please click here. I use them at school all the time love it when they’re frelshy sharpened. The kids are now aware that there are different grades and when I give out awesome pencils they get excited they’re a little old for this but what can I say? We have Pencil Fever in Ms. Jewett’s Opportunity Class.